JooTube.TV: Jews take to streets in outrage against Palestinian terror; wonder where is the demonstrable outrage from funded Jewish orgs? Jews take to streets in outrage against Palestinian terror; wonder where is the demonstrable outrage from funded Jewish orgs? Israeli protesters block traffic in Jerusalem: "Jewish blood is not cheap!" 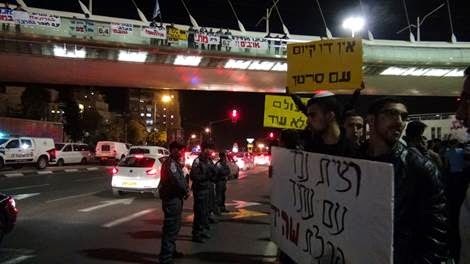 Some 300 protesters from the Otzma Yehudit organization took to the streets of Jerusalem today in protest of this morning's terrorist massacre at a synagogue in the Har Nof neighborhood. The demonstration took place next to the capital's iconic String Bridge close to the central bus station. Activists called for "revenge," as well as calls for Internal Security Minister Yitzhak Aharonovich to be fired for failing to deal with the ongoing and escalating Arab violence. "Aharonovich resign, Jewish blood is not cheap!" protesters chanted. 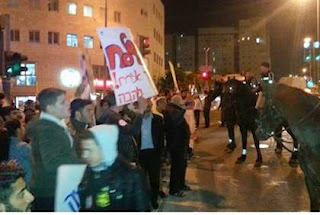 The group then marched to nearby Yirmeyahu street and blocked traffic, and police responded by arresting six activists, including the head of the Lehava organization Bentzi Gopshtain. 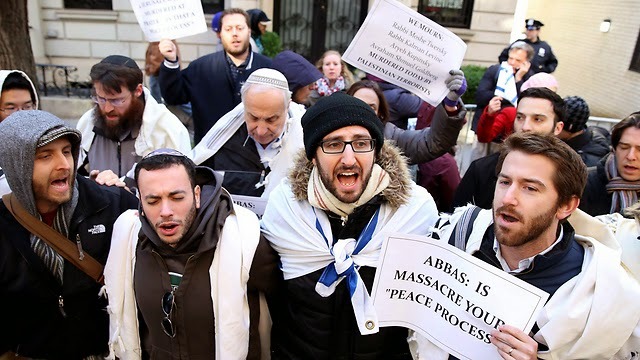 Palestine Mission to the UN encircled by Jewish protesters slamming what they called Palestinian incitement after deadly terror attack killed five people. 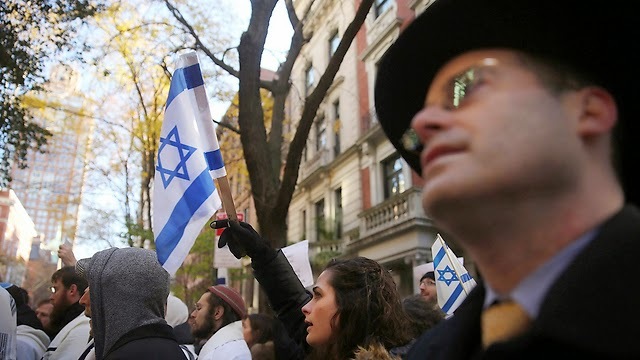 A small yet dedicated group of Jews from New York took to the streets Tuesday after a deadly terror attack in a Jerusalem synagogue left five people dead, including three American-born and one British-born Israelis. A Druze police officer who was wounded while tackling one of the terrorists later succumbed to his wounds. Jews in the city gathered to condemn the synagogue attack in Jerusalem and remember the victims, including a rabbi who had personal ties in the city. NY1's Jon Weinstein filed the following report. Dozens gathered in prayer but were filled with horror and outrage. Those are the words the demonstrators outside the Palestinian Mission to the United Nations used to describe Tuesday's terror attack in Jerusalem. 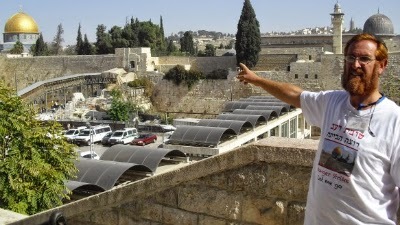 The attackers walked into a Jerusalem synagogue with meat cleavers and a gun. Four people were killed, including three Americans. "As they opened up their mouth to say words of praise, words of prayer, words of peace, their tongues were cut off," said one person at the rally. 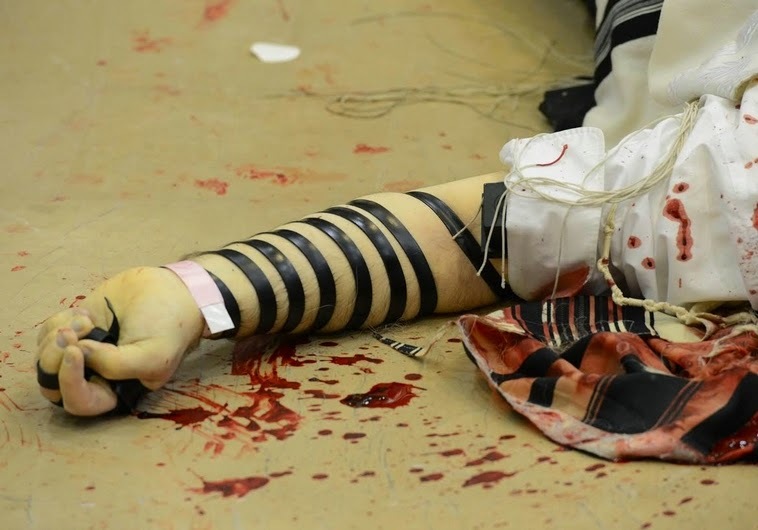 "The blood of innocent human beings was shed this morning, and the world has not sufficiently expressed its outrage," said Rabbi Yaakov Kermaier of Fifth Avenue Synagogue. Rabbi Yehuda Glick, the Temple Mount activist who was the target of an assassination attempt on Oct. 29th, is improving steadily, and received the Ashkenazi Chief Rabbi of Israel, Rabbi David Lau, as a visitor on Monday. He spoke to the Chief Rabbi for the first time about his ordeal. Glick was rushed to hospital in critical condition, while Hijazi was later shot and killed. All told, Glick was shot four times, and the bullets penetrated his chest, arm and throat, cracked ribs and damaged his intestines. He spoke of the intensive treatment he has been receiving while in hospital. “I’m not in hospital because I have appendicitis, I’m not here because they shot me for being ginger,” the red-headed Glick joked to the Chief Rabbi. 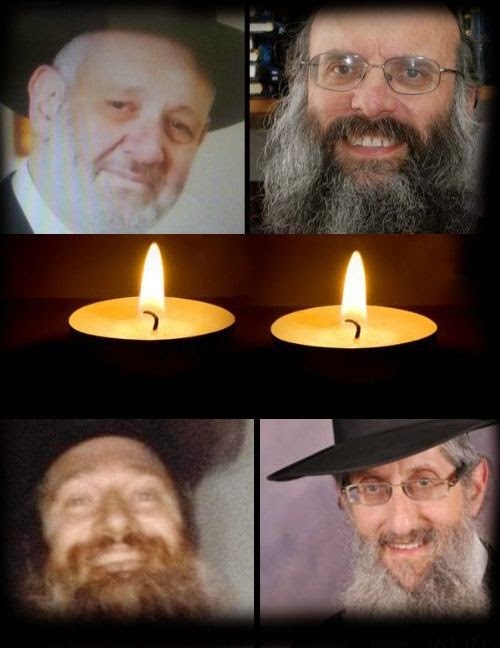 Rabbi Lau related to him how the entire Chief Rabbinate had been praying for his recovery and has closely follwed every development since the assassination attempt. "Even after a week we did not stop praying," he said. Concerning the Temple Mount itself, the Ashkenazic Chief Rabbi - who opposes visits to the Mount due to issues of ritual purity - struck a sympathetic note.